Tsukimi Kurashita and the residents of Amamizukan, a safe-haven for girl geeks, get a big change when their paths cross with one stylish, fashionable, and determined woman! The hit josei series which inspired an anime finally arrives in English. 18 year-old Tsukimi Kurashita’s earliest and fondest memories were those of visiting the jellyfish in an aquarium with her mother, and this love would continue as she moved to Tokyo for the first time. Tsukimi now lives in Amamizukan (“Amars”), a place for girl-geeks to live as they gush over a variety of individual interests, as she goes about her daily life avoiding the hated “stylish” (the dreaded and stuck-up fashionable women plaguing Tokyo), and visiting the pet store to see her favourite jellyfish, Clara. One day while visiting the store, Tsukimi realizes that the story is taking care of Clara poorly, and musters her courage to talk to the stylish (and male!) clerk. When she is rebuffed, a wonderfully fashionable and determined woman steps in and gets the store to give Clara to Tsukimi. The woman follows Tsukimi home, and as the two spend more time together Tsukimi finds her world-view starting slowly to change. Don’t let the josei demographic tag scare you off - anyone looking for a hilarious, poignant and delightfully bizarre series should give this a look. 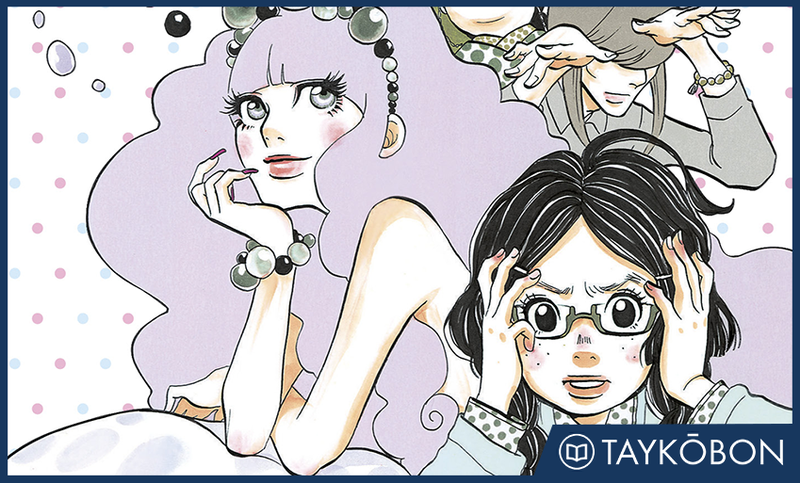 Princess Jellyfish’s story is fantastic, and a wonderfully poignant beginning to the series. After saving Clara, Tsukimi and the stylish woman who helped her head back to Amars, where Tsukimi discovers that the woman is actually a beautiful man named Kuranosuke. It turns out that Kuranosuke is a member of a famous political family who routinely spends time dressed as a woman, and he begins spending plenty of time with Tsukimi as they start to become involved in each others’ lives. Tsukimi’s character arc in this volume follows her as she is exposed to a different way of thinking by Kuranosuke, and I enjoyed seeing her grow tangibly throughout the story. However, this growth feels textured because it never feels like Tsukimi’s personal change is one sided - we see her treated with deftness because the story recognizes that her different wants can conflict with her need to be true to herself. This made the story feel more resonant as a layered portrayal of a young woman beginning to find herself while weighing how she currently is versus what she finds out she may want to be. Tsukimi’s incredibly affective character arc is complemented by Kuranosuke’s own story, and I enjoyed his presence in the story greatly. Kuranosuke is the second son in one of Japan’s most important political family, and it is soon revealed that he dresses up as a woman in spite of his family’s wishes. Kuranosuke’s relationship with his family quickly becomes a major plot-line, and his relationship with his brother Shu soon begins to affect his budding friendship with Tsukimi. The focus on Kuranosuke’s family was extremely interesting for the insight it gave into Kuranosuke’s personality, and this was used well to illustrate his frustration with the expectations placed on him to provide context for his interest in Amars. I enjoyed the way that just as Kuranosuke opens Tsukimi’s eyes to a wider perspective, she also has a profound effect (even if he won’t admit it) towards his own feelings about himself. This volume did a great job setting up this story, and I can’t wait to see what will happen next for these two as they fight with the rest of the characters to save Amars while trying to find themselves as people. While Princess Jellyfish has plenty of compelling moments thanks to Tsukimi and Kuranosuke’s respective stories, perhaps my favourite aspect of this manga was how remarkably hilarious it is. The comedic timing is spot on, mixing in some exaggerated absurd moments in with hilarious reactions from the characters. The tropes involved in the story are played with in clever ways, and Tsukimi’s own exaggerated mental overreactions were hilariously done in playing off various situations for laughs. Those familiarity with the stereotypes associated with “fujoshi or otaku” will find this hilarious, but anyone who isn’t already familiar will catch on quick and still find these scenes extremely enjoyable. The comedy extends to the rest of the wacky characters living at Amars as well, and the series plays up the clash between the lifestyle of these girls and their perception of the outside world as a significant source of humour. Each girl living at Amars has their own distinct personality, and when the reactions of each girl cascade upon one another in reaction to an innocuous happening to any other person, we get some truly absurd scenarios in the best way possible. Bizarre reactions are a normal occurrence at Amars, but I really enjoyed that it felt as though we were laughing with the characters rather than laughing at them, and the series never felt mean spirited in the way it treated its characters. What we get instead is a story brimming with enthusiasm and energy that doesn’t take itself too serious, and I had a smile on my face the entire way through this volume. I enjoyed Princess Jellyfish’s art quite a lot thanks to how well it complemented the story and its characters. The characters are all wonderfully drawn, and I enjoyed the simple expressiveness each one is given thanks to the detail imbued in their facial expressions. Panel layouts are used dynamically, quickly moving between panels during the more comedic bits while slowing down to portray dramatic scenes with close-up detailed images. I liked how well this corresponded with Tsukimi’s own internal experience, as the art gets across perfectly the dramatic way certain situations feel to her, drawing the reader in effectively. The art also nails the exaggerated reactions of these characters perfectly, shifting into a faux-horror style in certain panels to illustrate the internal horror and awkwardness felt to enjoyable effect. This also went a long way in making the humour cut across demographics, and the art possess a universally accessible comedic flair that never failed to make me laugh in accompaniment with the story. Princess Jellyfish is fantastic coming-of-age story which tells the poignant tale of two people attempting to be true to themselves as they move forward in life. But more than that, this story is absolutely hilarious and brims with enthusiasm as it plays off plenty of tropes that will be familiar to manga readers in a way that is accessible to even those who aren’t too familiar with josei stories. It’s wacky and it’s bizarre, but most of all it’s full of heart and humour, and I had a smile on my face the entire way through. Princess Jellyfish Vol. 1 (containing volumes 1 and 2 of the Japanese release) was translated by Sarah Alys Lindholm and published by Kodansha Comics USA on March 22nd, 2016. Authored by Akiko Higashimura, the series is ongoing in Kodansha’s Kiss magazine. Volume 2 will be released in English on June 14th 2016.